Simultaneous analysis of near-full-length HIV-1 proviral sequences and corresponding HIV-1 integration sites. 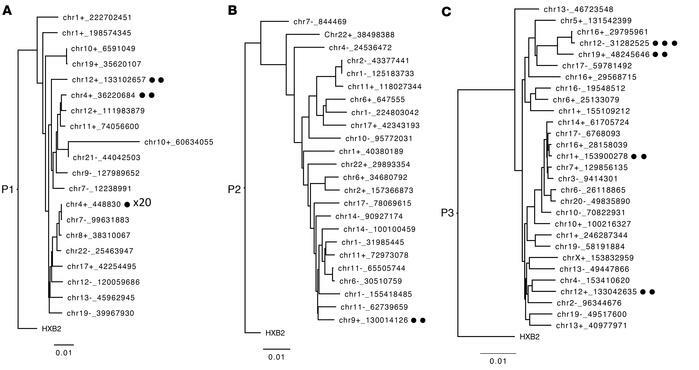 (A–C) Horizontal phylogenetic trees of all intact, near-full-length HIV-1 sequences from 3 study participants (P1–P3). Clonal sequences are listed only once; the number of clones is indicated by circular symbols. Chromosomal integration site coordinates (3′-LTR border) for each sequence are indicated.